When winter arrives, and the weather turns to ice, Rock Salt USA has the ice melt products you can rely on. We are the leading supplier of bulk & Bag rock salt, magnesium chloride pellets, and calcium chloride pellets in Omaha, NE. 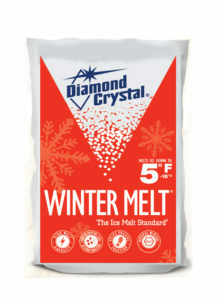 We offer fast delivery of the highest quality ice melt salt available. Whether you need commercial ice melt or bagged premium rock salt, we will supply just what you need at competitive prices.